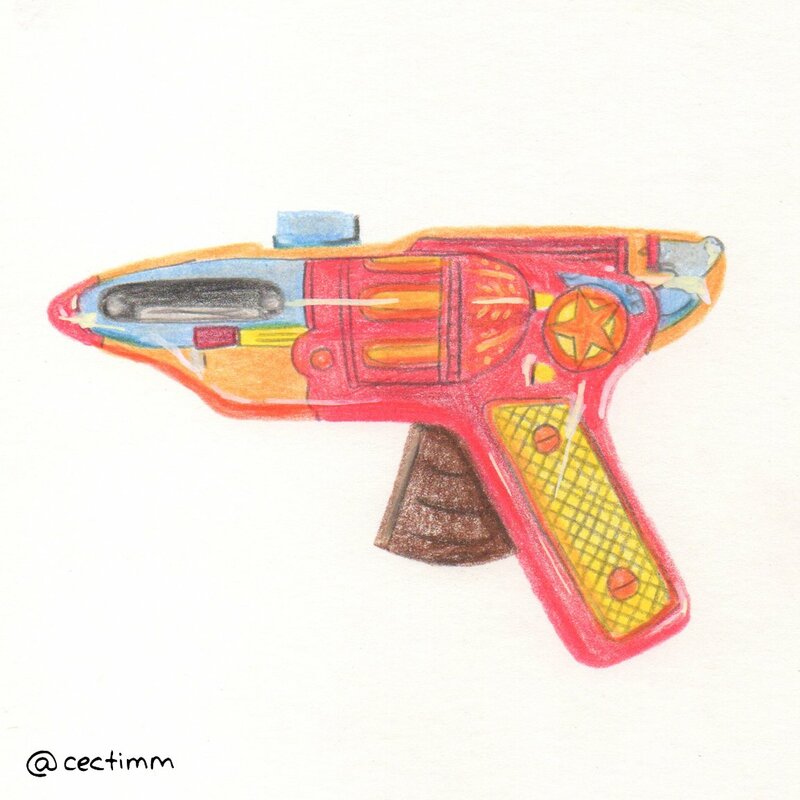 #adrawingaday #vintagetoys Kids used to play with guns and it didn't mean they'd grow up to be violent, it was just playing. There are so many cool vintage toy guns around and they're all very fantastical, designed to shoot robots and aliens. The best part though is the sound effects any kid or grown-up will inevitably make while pretending to shoot one :P If you would like to purchase a drawing or commission a portrait, please get in touch. 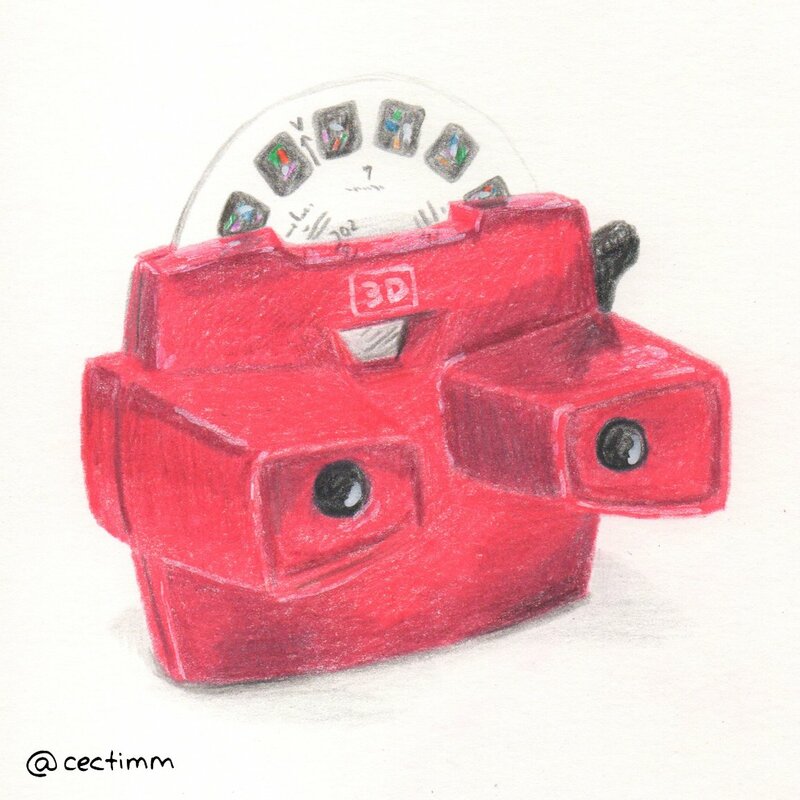 #adrawingaday #vintagetoys I loved my View-Master as a kid. I was magically transported to far away places... in 3D! The most precious parts were the cardboard discs that contained the stereoscopic 3D pairs of images on colour film. The View-Master made its way into the world in 1939 but was still super popular in the 1980's when I had mine... I got lost in Paris, visiting the Eifel Tower, the Arc de Triomphe and the markets by the Seine. I can still hear the click of the black lever... I wish I still had mine :) If you would like to purchase a drawing or commission a portrait, please get in touch. 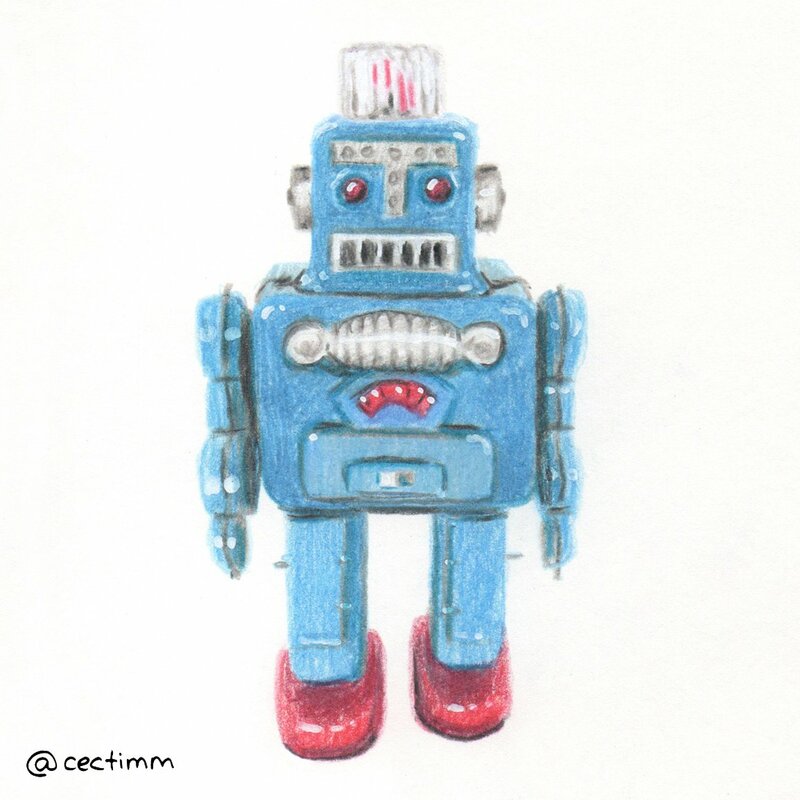 #adrawingaday #vintagetoys Anyone who knows me knows I'm a massive nerd and that I love robots. Vintage robot toys have so much personality... it's almost as if they had more imagination of how the future might look. Beep beep boop bloop! If you would like to purchase a drawing or commission a portrait, please get in touch. 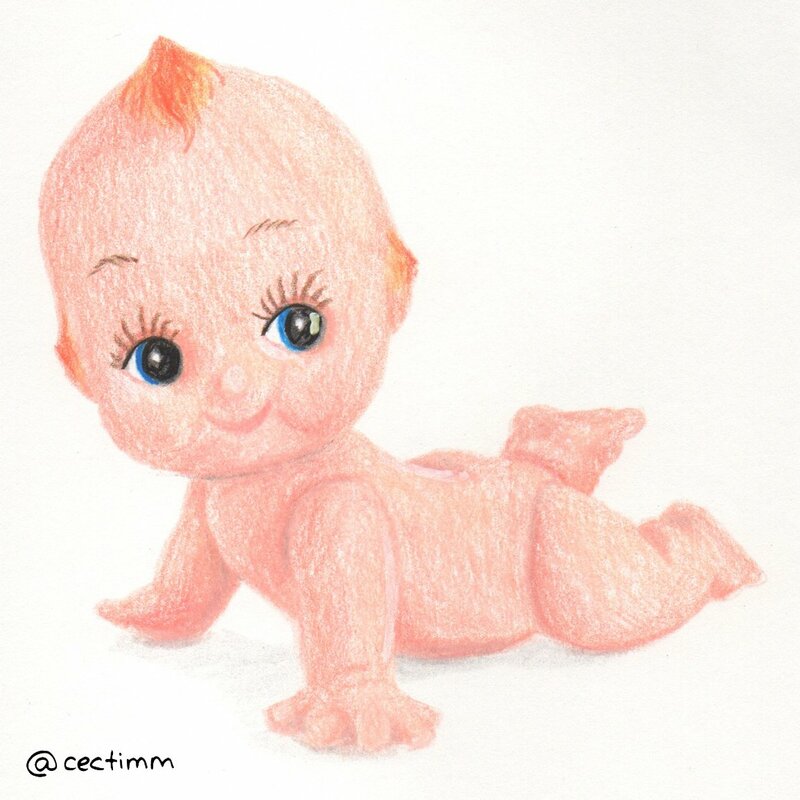 #adrawingaday #vintagetoys Kewpie Dolls are so cute yet at the same time, there is something creepy about them ♥ They always remind me of the Easter Show. Kewpie dolls were originally sold as paper cutouts they were made into 3D plastic dolls in 1912 and took the world by storm in the early 20th century. If you would like to purchase a drawing or commission a portrait, please get in touch. #adrawingaday #vintagetoys This month I have decided to draw vintage toys. My mother was very progressive as a mother in the 1970's believing there was no such thing as girls or a boys toys. She gave us dolls and trucks. I loved them all... zoom zoom broom broom. 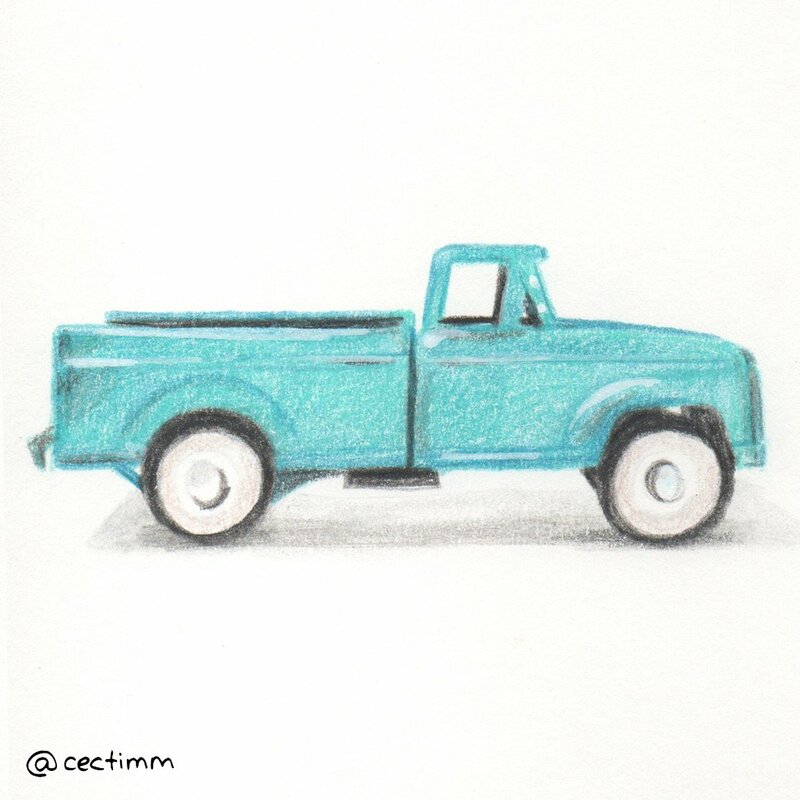 I love trucks ♥ I would fill the tray up with my lollies and deliver them straight to my mouth :P If you would like to purchase a drawing, print or commission a portrait, please get in touch. 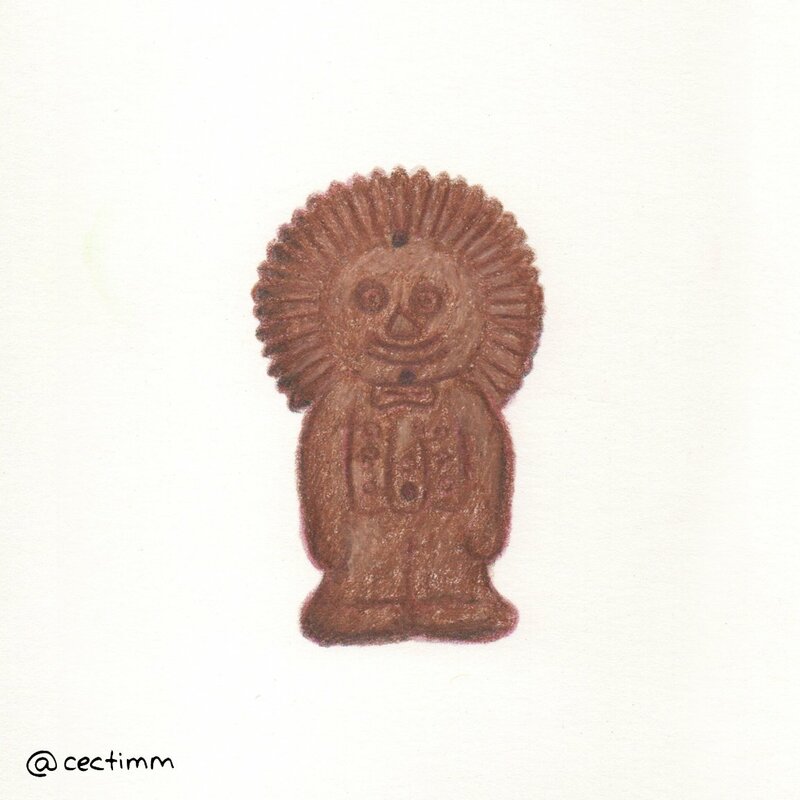 #adrawingaday #vintagetoys This month I have decided to draw vintage toys. There are some super cute and super strange toys that were once considered desirable. Some stand the test of time but others seem batshit crazy now. 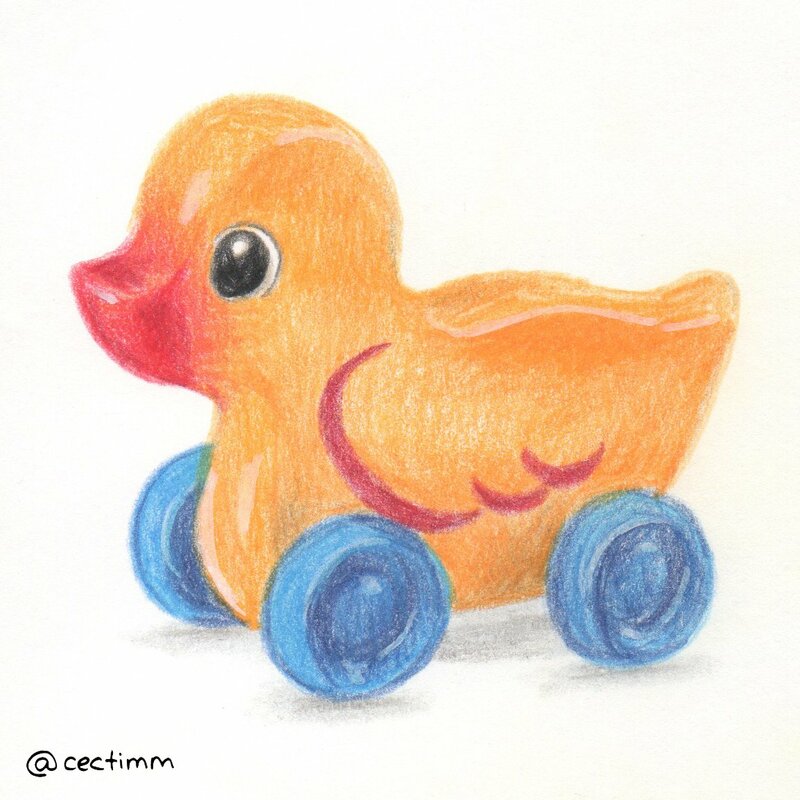 Here is a little wooden duck on wheels... so cute and innocent looking. I love him ♥ If you would like to purchase a drawing or commission a portrait, please get in touch. #adrawingaday #sweetas As it is my birth month I have decided to celebrate all of the sweet treats I love to eat... in moderation of course :P Being the last day of the month I wanted to finish strong... I LOVE BROWNIES. I love a good bought brownie... I love making brownies (I have perfected 2 amazing recipes)... I love eating homemade brownies. The good thing about making them is that no one else really knows how much was there to begin with. I can eat as much as I want and everyone else still thinks I'm a hero for giving them any at all :P I am trying to be super healthy lately and have not made any brownies for a while... now that I've finished drawing a month of #sweetas things I might have to bust out a tray of my triple chocolate brownies... so soooo sinful! Care to share? If you would like to purchase a drawing or commission a portrait, please get in touch. 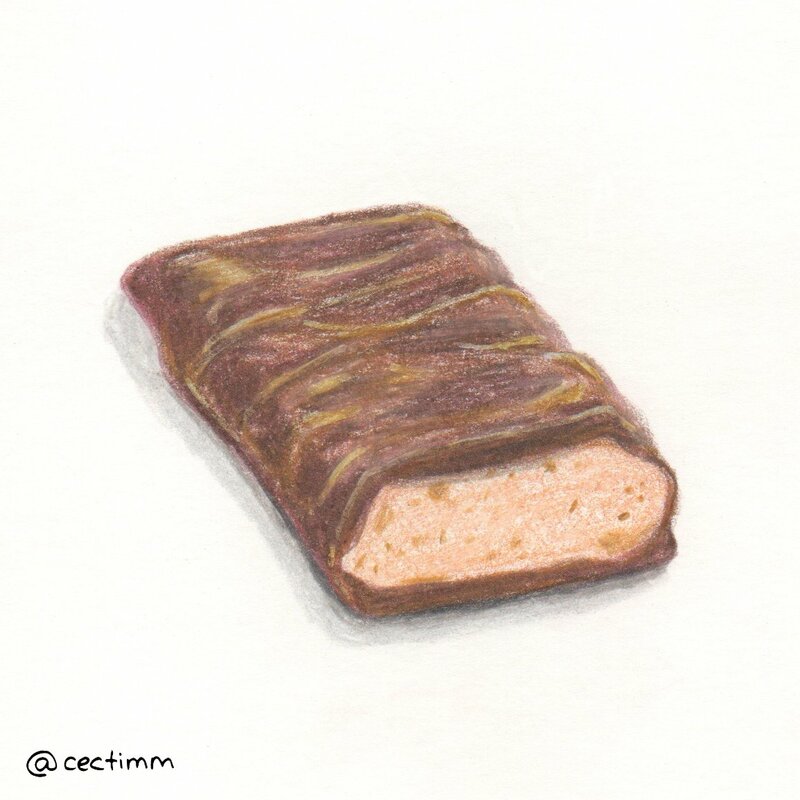 #adrawingaday #sweetas As it is my birth month I have decided to celebrate all of the sweet treats I love to eat... in moderation of course :P Who remembers the Monacoaco-Bar? These were one of the more elegant ice-creams from my youth. I loved unwrapping these babies and biting into the softened chocolate biscuits through to the cream white ice-cream inside. I remember this so vividly. Peters Ice Cream stopped making them for quite a while but brought them back in 2008 due to popular demand. Now I need to go out and find me a Monacoaco-Bar! 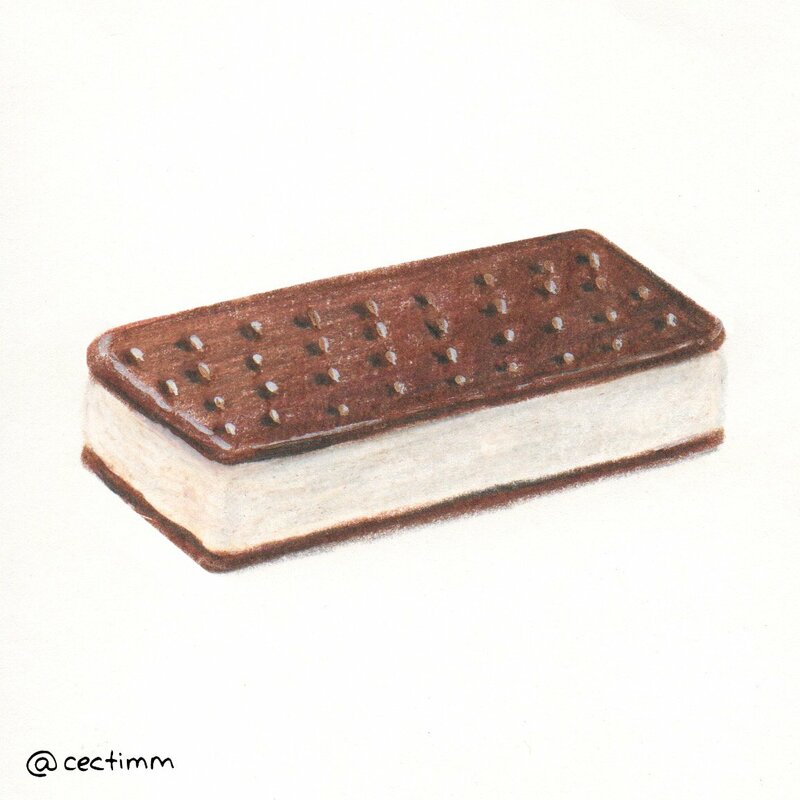 YUM :P If you would like to purchase a drawing or commission a portrait, please get in touch. 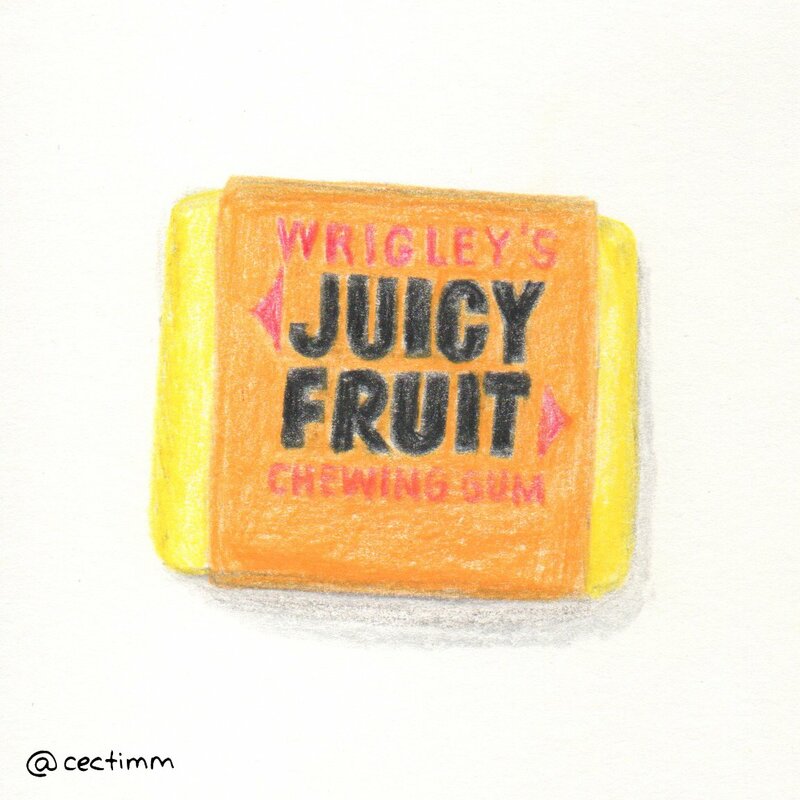 #adrawingaday #sweetas As it is my birth month I have decided to celebrate all of the sweet treats I love to eat... in moderation of course :P Juicy Fruit... this was huge in my youth. They had great ads filled with fun loving beautiful people surfing and windsurfing... I wanted to be just like them so I too ate juicy fruit. However, the nuggets of gum never fell out of the pack as easily and elegantly as they did in the adverts :P "Get your sails set up, grab a piece of Juicy Fruit, the taste will get you going. Going up, going out, the taste will get you going when you pop it in your mouth." Here's a ad from the 1980's featuring a very young Antoina Kidman... [su_youtube_advanced url="https://www.youtube.com/watch?v=cM1ZdAvvcgg" width="800" height="520" rel="no" theme="light"] If you would like to purchase a drawing or commission a portrait, please get in touch. 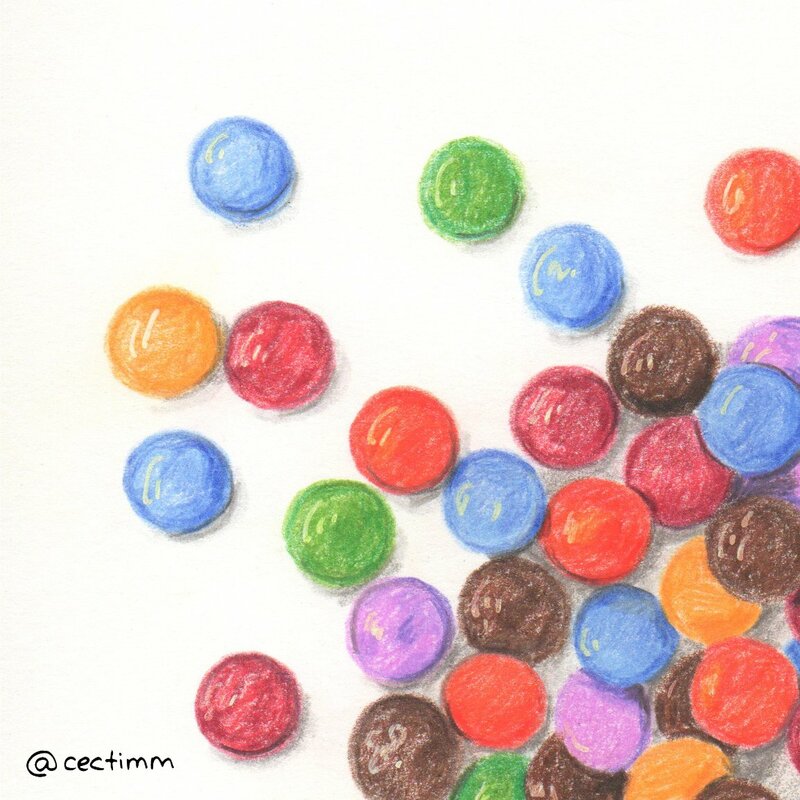 #adrawingaday #sweetas As it is my birth month I have decided to celebrate all of the sweet treats I love to eat... in moderation of course :P I have always loved Smarties. Growing up in Australia with long hot summers, Smarties were such a great snack... the chocolate melts in your mouth, not in your hand. The crispy shell is such a nice counterpoint to the smooth milk chocolate that awaits consumption. I have always eaten them in coloured pairs... a habit I have yet to break :P If you would like to purchase a drawing or commission a portrait, please get in touch. 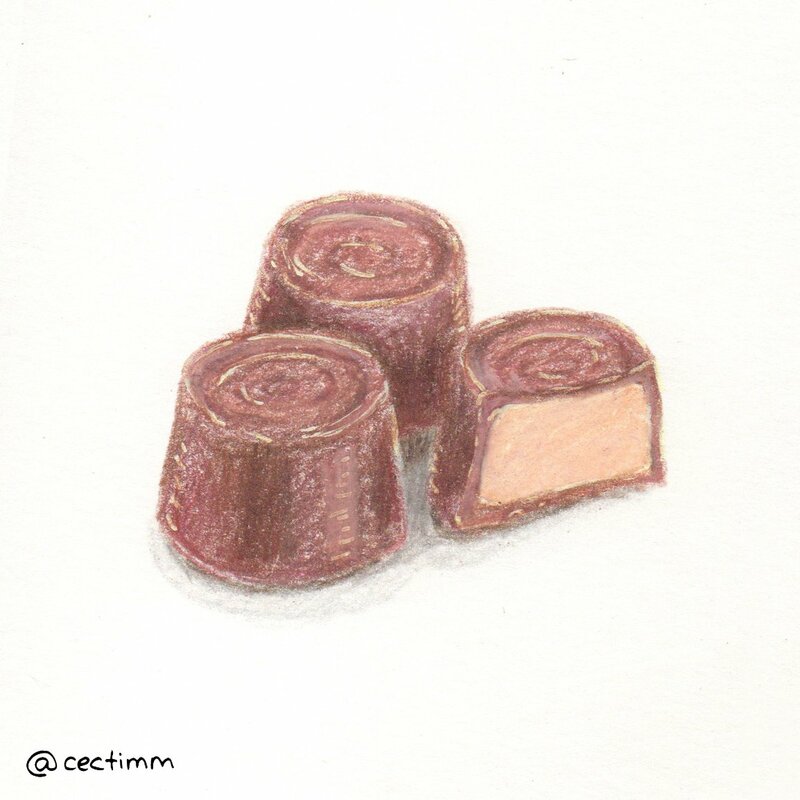 #adrawingaday #sweetas As it is my birth month I have decided to celebrate all of the sweet treats I love to eat... in moderation of course :P Rolo chocolates are so morish... chewy caramel toffee centres coated with milk chocolate. The Nestle company make this delicious treat and I have to control myself at the supermarket as once it's in my shopping basket I can't stop myself... I'll eat the lot within 20 minutes... oops. Must to buy any this week eeeeek! If you would like to purchase a drawing or commission a portrait, please get in touch. 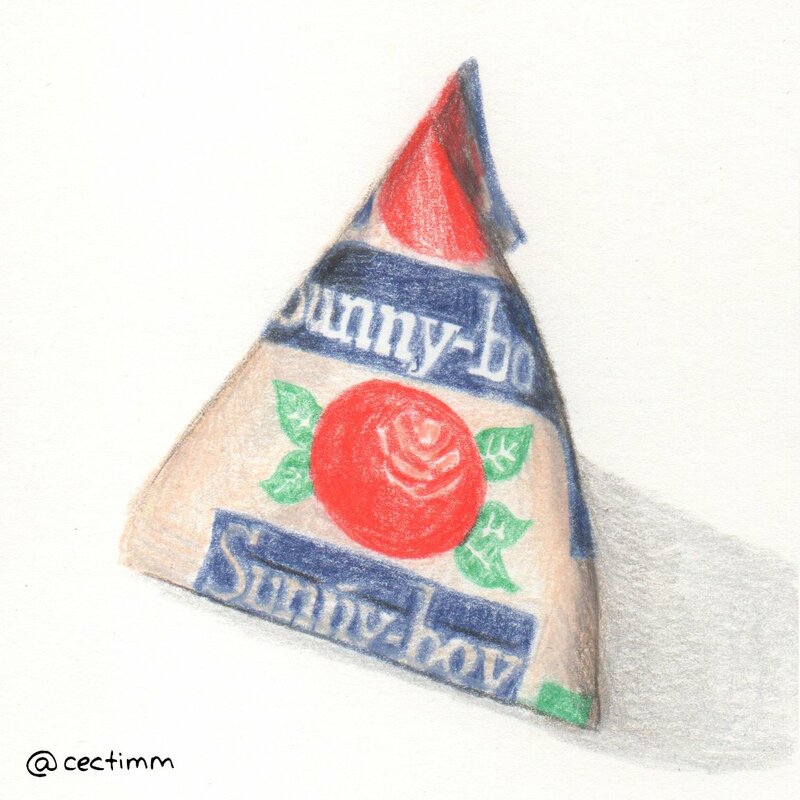 #adrawingaday #sweetas As it is my birth month I have decided to celebrate all of the sweet treats I love to eat... in moderation of course :P How good were Sunny-boy! Ther were pyramid-shaped frozen fruit flavoured ice blocks and while they were always in our freezer as a small child I always go the Sunny-boy show bag at the easter show. I think all of my easter show bags were food related LOL. They tried to modernise these but it never really worked and they're no longer being sold. If you would like to purchase a drawing or commission a portrait, please get in touch. 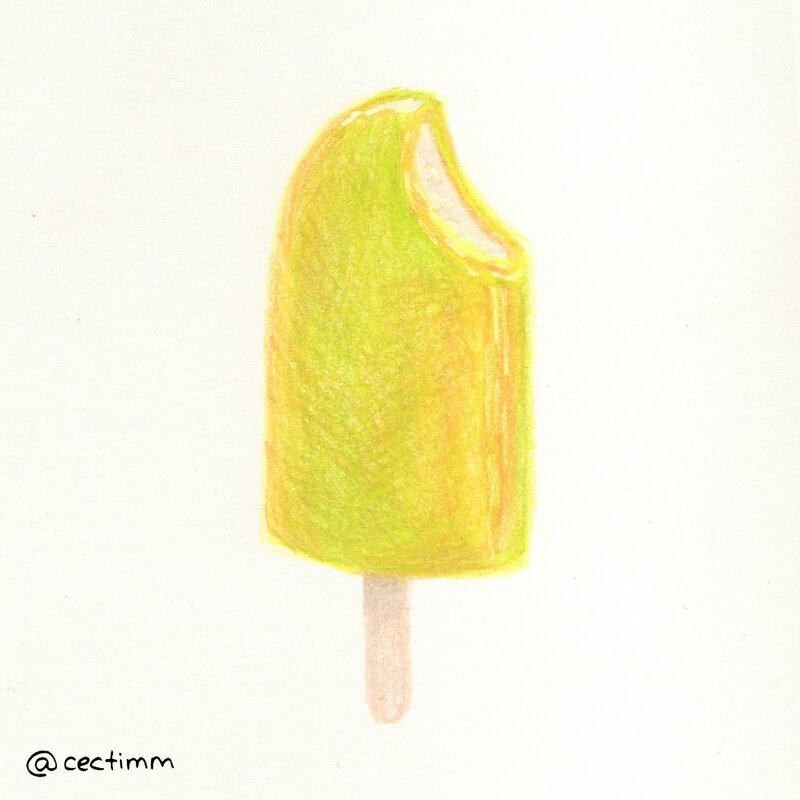 #adrawingaday #sweetas As it is my birth month I have decided to celebrate all of the sweet treats I love to eat... in moderation of course :P There are few things more refreshing on a stinking hot Sydney day than a Splice. Super yummy creamy ice cream encased in a frozen lime flavoured ice. So Australian and so delicious... they stopped making them for a while but thankfully they're back! If you would like to purchase a drawing or commission a portrait, please get in touch. 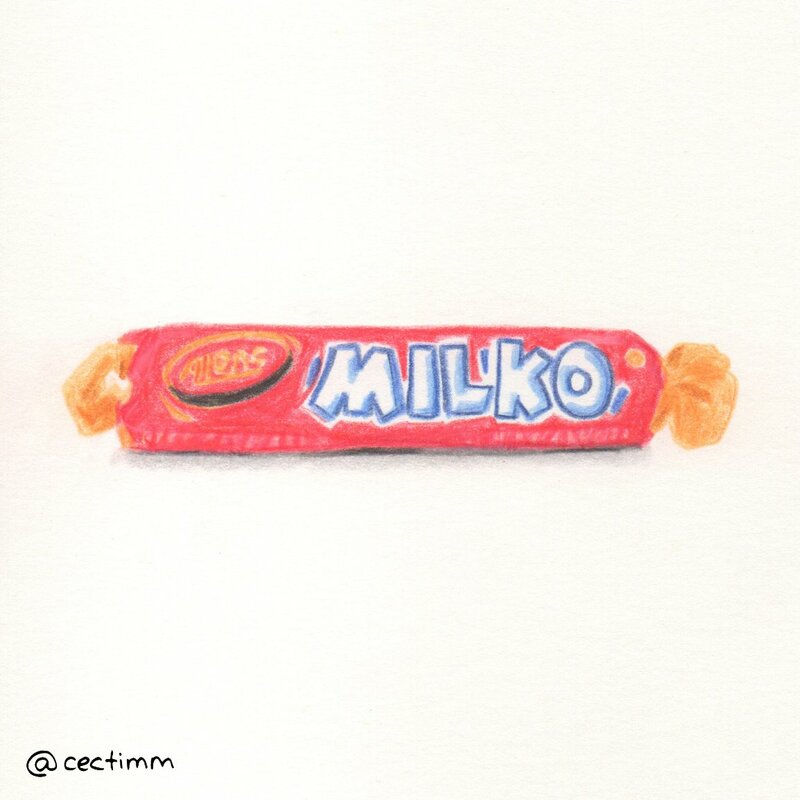 #adrawingaday #sweetas As it is my birth month I have decided to celebrate all of the sweet treats I love to eat... in moderation of course :P Hmmmm Milko sticks are so sweet and naughty... they are rather natural for a mass-produced sweet but boy do they have a lot of sugar. Made with condensed milk, these individually wrapped chewy sweeties are creamy, soft and milky. All of this reminiscing is making me hungry... yum! If you would like to purchase a drawing or commission a portrait, please get in touch. 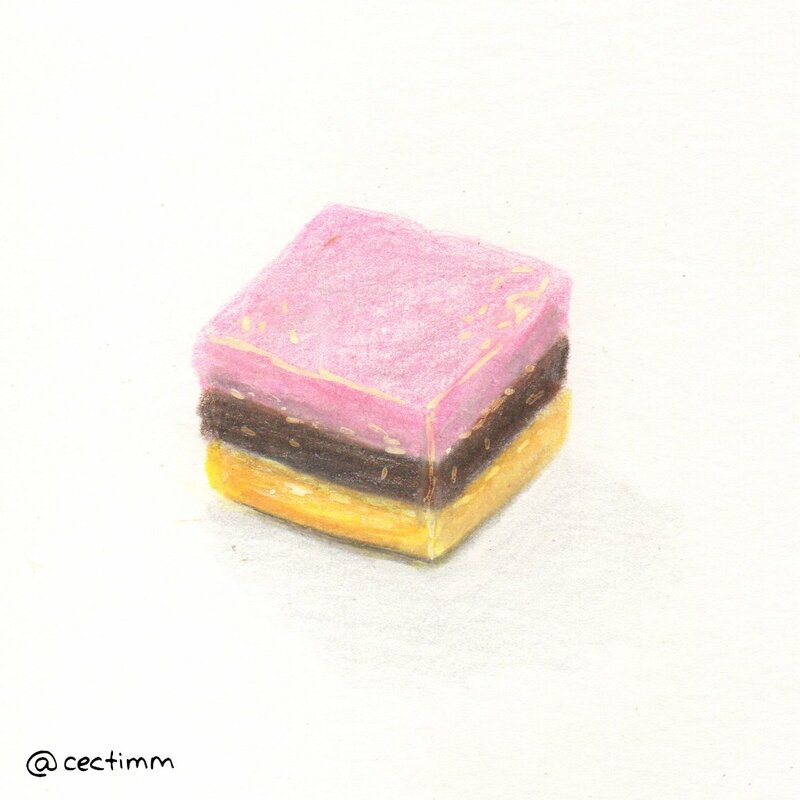 #adrawingaday #sweetas As it is my birth month I have decided to celebrate all of the sweet treats I love to eat... in moderation of course :P I loved Liquorice Allsorts as a kid... there were always some I liked more than others and some I would avoid altogether. I liked these colourful ones and I'd scrape each layer off with my front teeth and enjoy each colour on their own. Maybe I liked this so much because it has a pink layer and I am a fiend for pink :P I haven't had one in years and I can't imagine I'd like it very much now... kids are weird. If you would like to purchase a drawing or commission a portrait, please get in touch. #adrawingaday #sweetas As it is my birth month I have decided to celebrate all of the sweet treats I love to eat... in moderation of course :P As a child, I was unaware of how racist and hurtful the term Golliwog was... to me it was the name of a delicious chocolate biscuit that gave me pure joy. I think it was because they were really chocolatey without being dipped in chocolate and they were super thin and crispy. In the mid 90's they were renamed Scalliwag's but they never really recovered from the stigma of racism and were discontinued in the late 90's. I feel like my life is missing a really good chocolatey thin crispy biscuit.. any suggestions? The mear sight of this packet would bring joy and excitement to my day :P If you would like to purchase a drawing or commission a portrait, please get in touch. 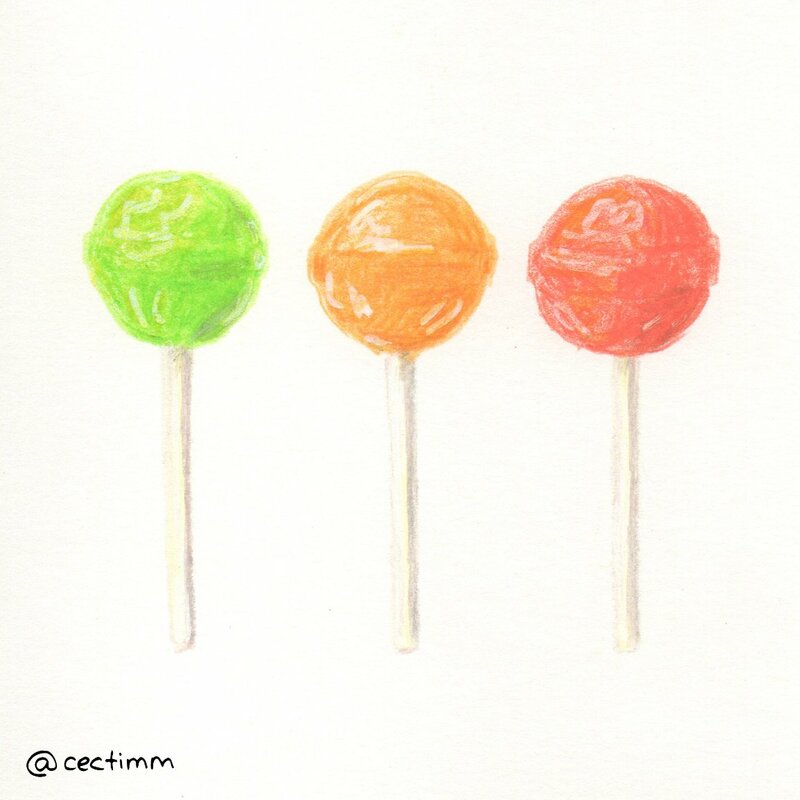 #adrawingaday #sweetas As it is my birth month I have decided to celebrate all of the sweet treats I love to eat... in moderation of course :P Chupa Chups are a huge part of the language of sugar from my childhood. I loved Chupa Chups and remember the excitement of struggling with the wrapping in anticipation of getting the sweet treat into my mouth as quickly as possible. I used to always get the Chupa Chup bag at the Easter Show and didn't let anyone near my stash... I might have to get one this week, it's been a while :P If you would like to purchase a drawing or commission a portrait, please get in touch. 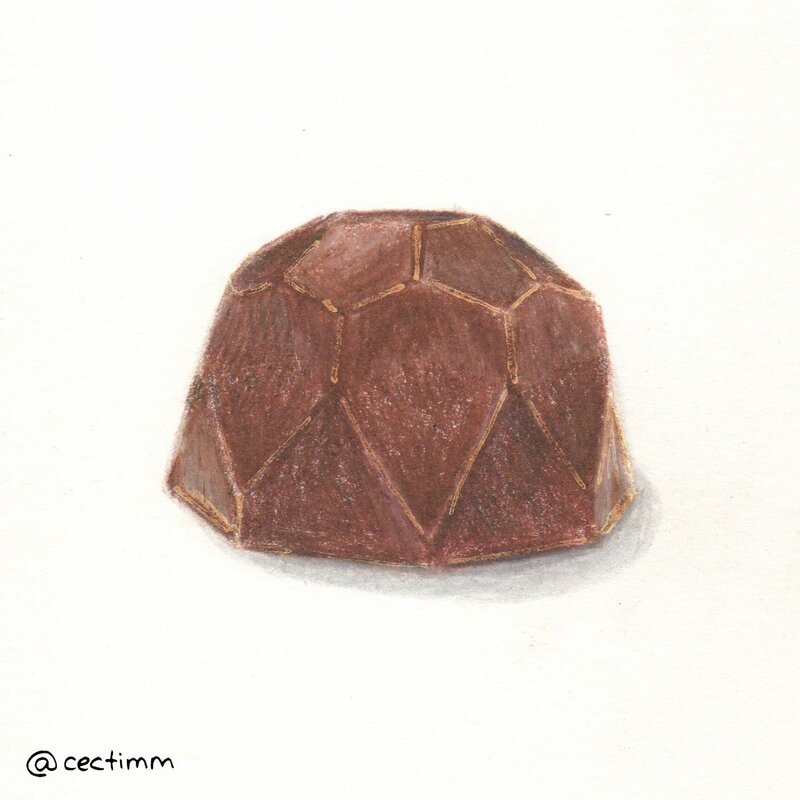 #adrawingaday #sweetas As it is my birth month I have decided to celebrate all of the sweet treats I love to eat... in moderation of course :P I am so happy that dulce leche or manjar blanco has made its way across the South Pacific Ocean from South America to Australia. Whenever I need a hit, I head into Koko Black and grab a milk chocolate dulce leche chocolate. The caramel is authentic, smooth and divine, and the shiny hexagon milk chocolate shell is smooth and delicious. Do yourself a favour and see if you can stop at just one. If you would like to purchase a drawing or commission a portrait, please get in touch. 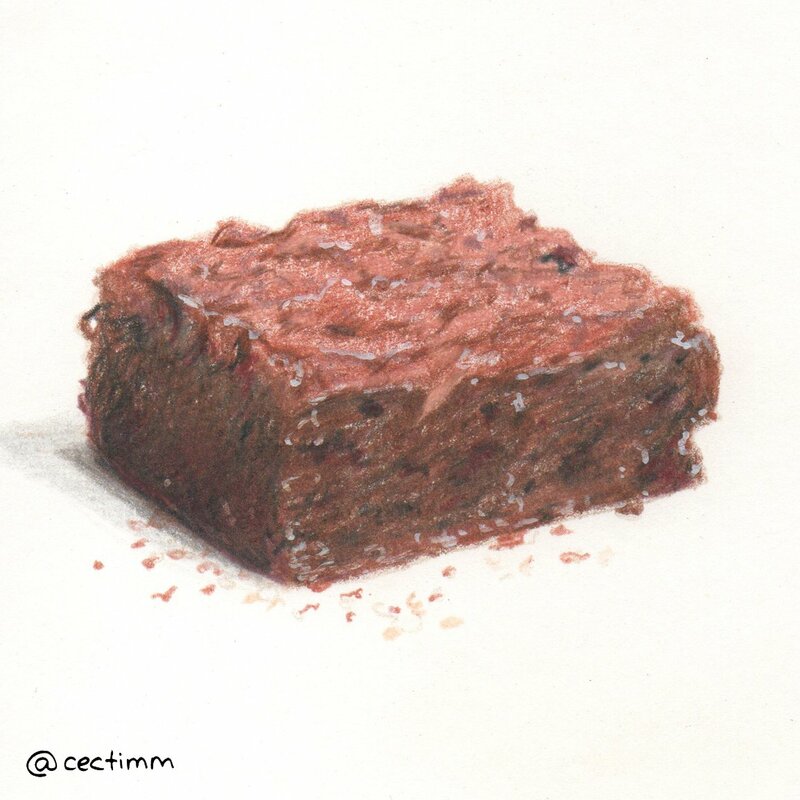 #adrawingaday #sweetas As it is my birth month I have decided to celebrate all of the sweet treats I love to eat... in moderation of course :P Hmmmmm the Chocolate Fudge Cookies from Kurtosh, Darlinghurst are a super special treat. It's no secret how much I love chocolate but these cookies take it to the next level. I really want one NOW... hmmmm fudgy crumbly chocolate goodness [insert Homer Simpson drooling sound effects here]. If you would like to purchase a drawing or commission a portrait, please get in touch. 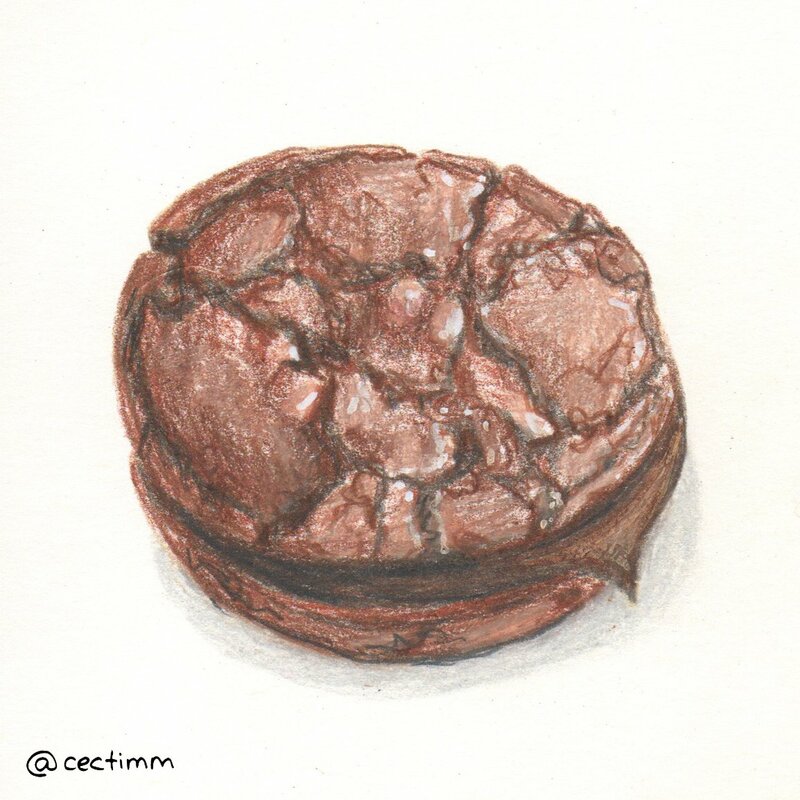 #adrawingaday #sweetas As it is my birth month I have decided to celebrate all of the sweet treats I love to eat... in moderation of course :P I cannot adequately express how much I love See's Chocolates &hearts; they are just so delicious. I think they've managed to maintain some of their old-fashioned goodness despite being mass produced. Thankfully they are now being sold in Australia but unfortunately, they don't sell the boxes of Molasses Chips. Anyone who travels Stateside who knows me well knows to bring home a box of sugary joy! Delish :P If you would like to purchase a drawing or commission a portrait, please get in touch.